ACCION FRATERNA ECOLOGY CENTRE is located in Anantapur Andhra Pradesh . ACCION FRATERNA ECOLOGY CENTRE is registered as a Trust at Anantapur of state Andhra Pradesh with Ngo unique registration ID 'AP/2009/0017404' . 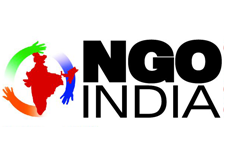 The NGO registration is done by Sub-Registrar with registration number 93/1982 on the date of 23-06-1982, Its parent ORganaisation is PaulFoundation. The Chairman of ACCION FRATERNA ECOLOGY CENTRE is Mr Moncho Ferrer and Chief functionary officer is Dr Y V Malla Reddy. We have made a substantial contribution since 1986 in Anantapur district with our Participatory Watershed Development Programme. It was perhaps the largest participatory watershed programme by an NGO in India spread over about 300 villages, covering about 1.35 lakh ha of farm land and 60,000 farmers. We are known for our participatory approach and very high quality in watershed development on a sizable scale. The major interventions under the watershed programme included Soil and Moisture Conservation, Rain Water Harvesting, Horticulture, Rainfed Agronomical Practices, Bio-gas and peoples Institutional Development.